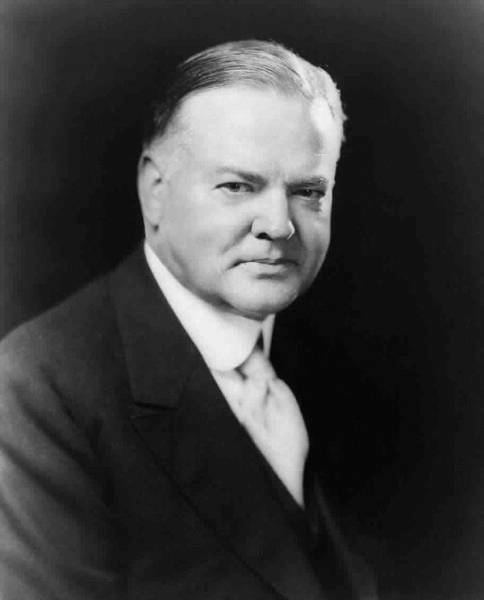 When the Great Depression began, the U.S.A. was being run by president Herbert Hoover. 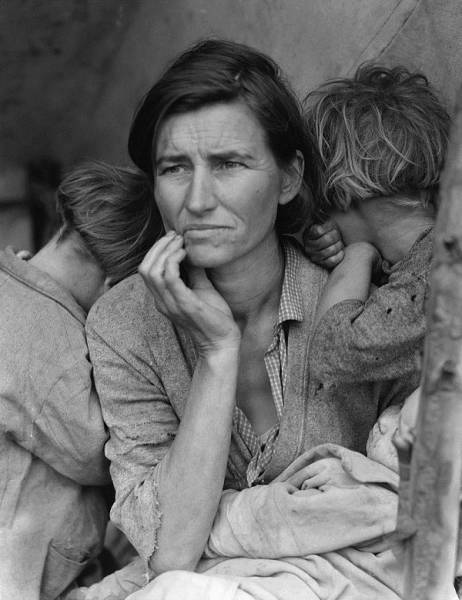 Hoover said in March of 1930 that the economy would sort itself out and that they have “passed the worst.” Sadly, it was only the beginning, and thing would not start to get better until 1939, when WWII started to break out. 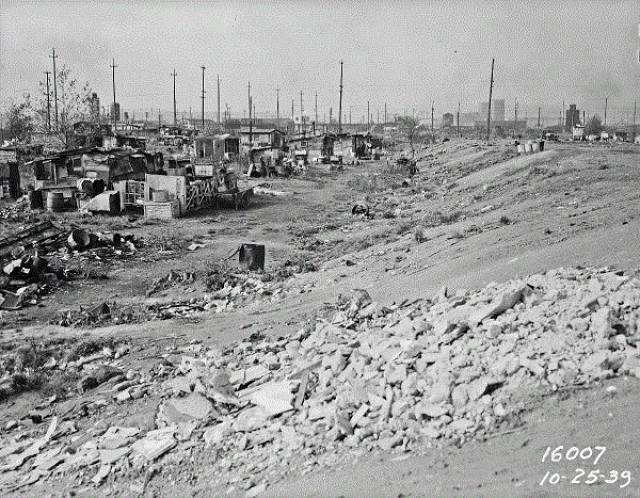 This is a picture of what was known as a “Hooverville” or “Shanty town.” These were places that people who lost their homes due to the depression were left to live in. 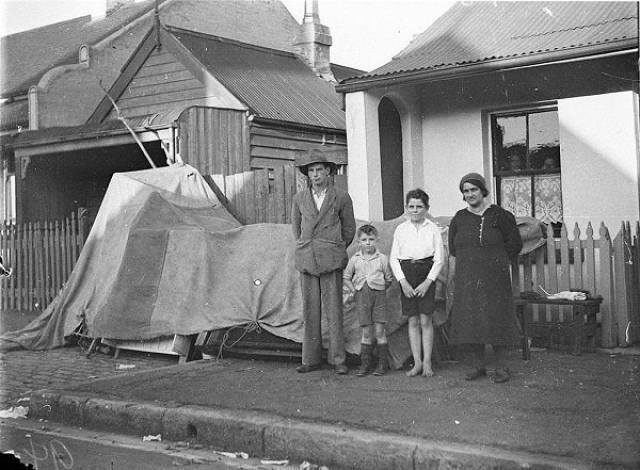 There were also “Hoover Blankets” which were simply newspapers used as blankets, and “Hoover Stew” which was the food you found at soup kitchens. 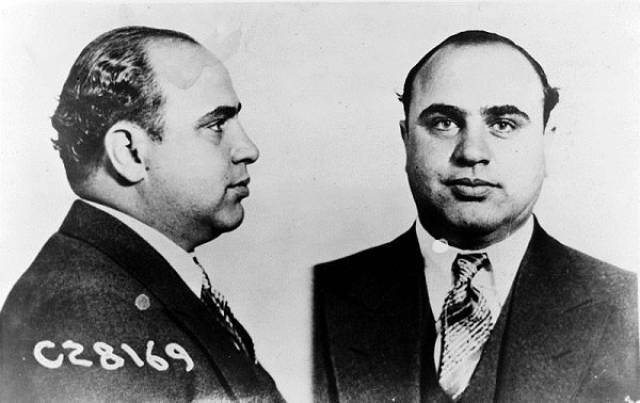 Infamous gangster, Al Capone, opened up a soup kitchen during the Great Depression in an attempt to garner good rapport with the public people of Chicago. 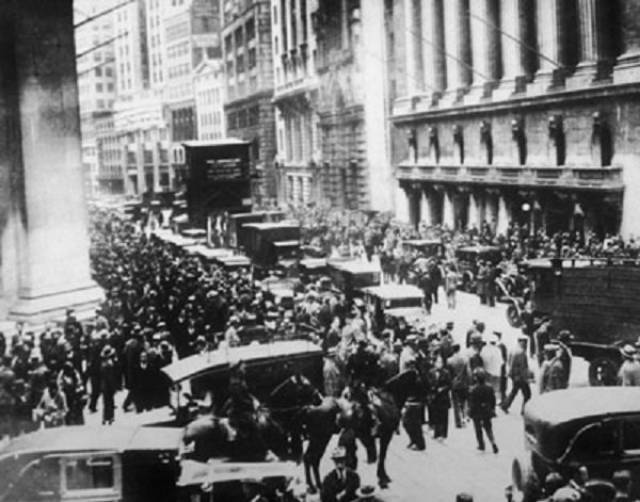 Although there were several factors that contributed to the start of The Great Depression, it is the Wall Street Crash of 1929 that did the most damage. 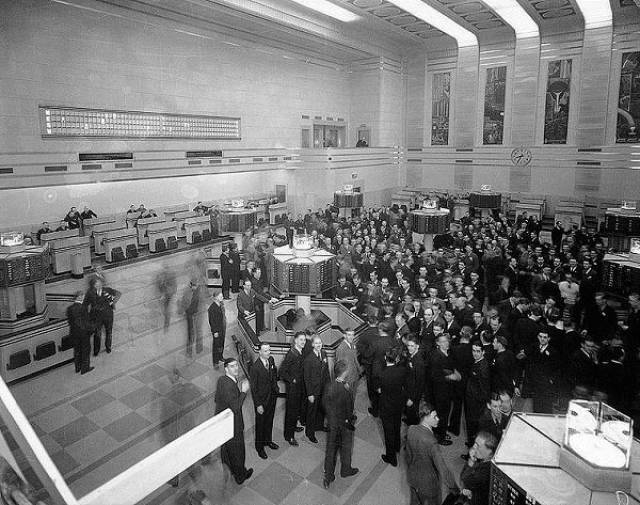 This event is famously known as “Black Tuesday.” The crash did, however, occur over the course of a few days. 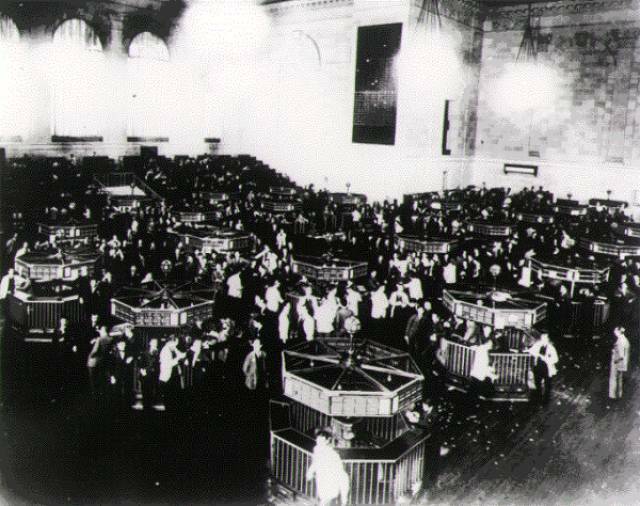 “Black Tuesday” took place on October 29th, 1929, and the market lost $14,000,000,000. This made the entire loss for the week a stunning $30,000,000,000. In today’s money, that is $377,587,032,770.41. Sadly, during the first months of the initial crash, there was a spike in suicides in the financial district of New York. 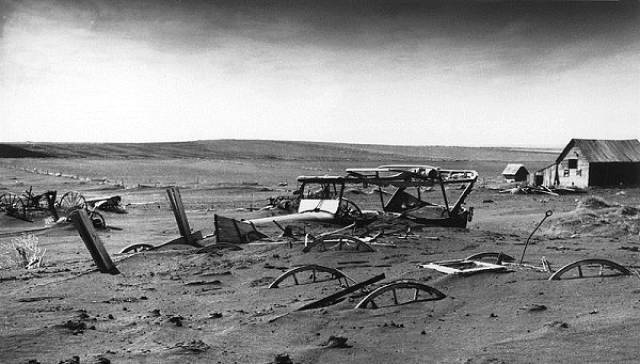 Milton Friedman, an economist (who won the Nobel Prize) famously argued that the Great Depression was not a result of the crash, but rather the epic collapse of the banking system due to public panic within the first three years. 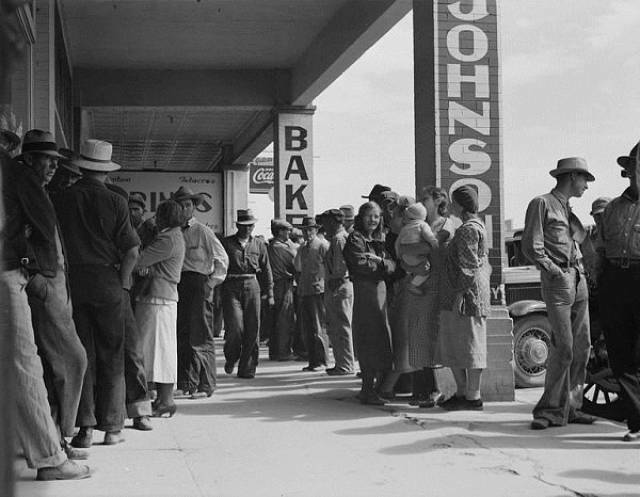 “Bank runs” was a term describing people rushing to the bank to withdraw their money after hearing of the crash. 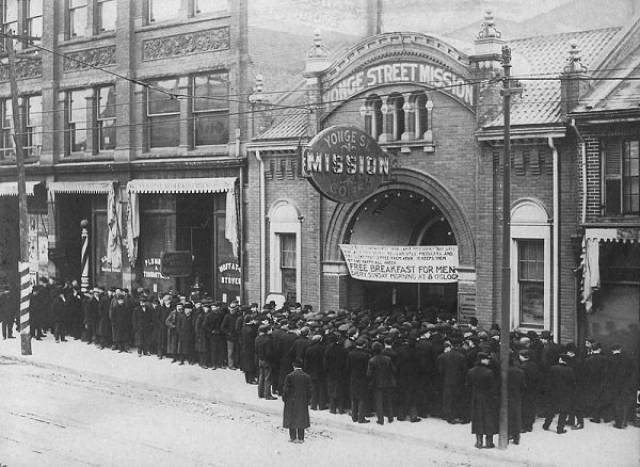 In an attempt to avoid the “shame of panhandling” many people took to selling apples as a way of making money. In NYC alone there were over 6,000 apple vendors. Fashion designers started to sell outfits that were ‘more affordable’ and came with lower heels, slimmer waistlines, and longer hemlines. Accessories also became more and more popular as it helped create updated looks without having to buy a whole lot. Because of all of this, the 1930s saw a new style in women’s fashion emerge. 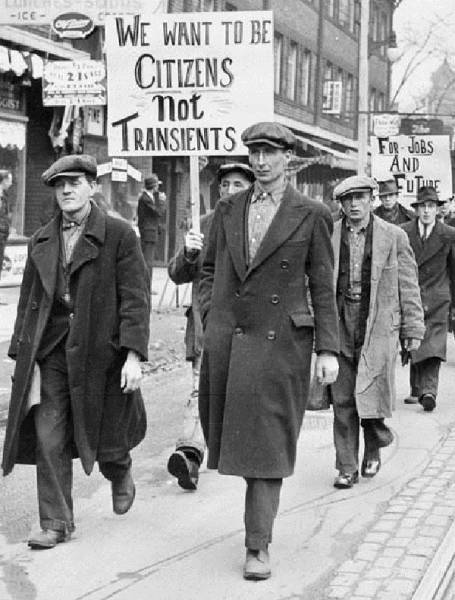 The worst of the Great Depression took place from 1933-1934, and 1 in 4 people were unemployed, while another 25% were taking pay-cuts to keep their jobs. 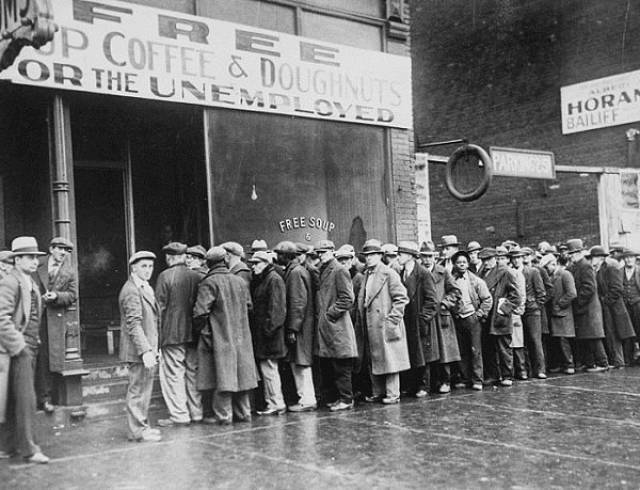 Unemployment rate in the U.S. didn’t dip back below 10% until WWII. 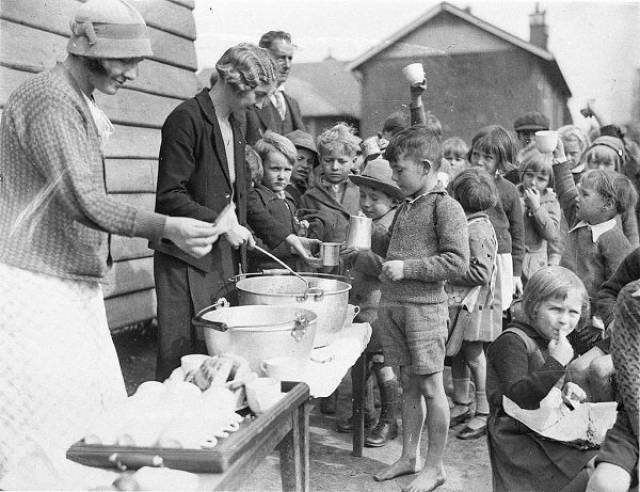 It is estimated that 50% of all children during the Great Depression lacked adequate water, food, and medical care. 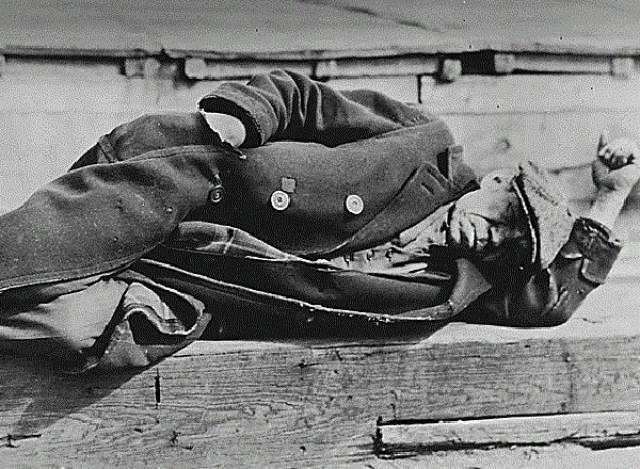 The board game “Monopoly” was released and became insanely popular during the Great Depression. 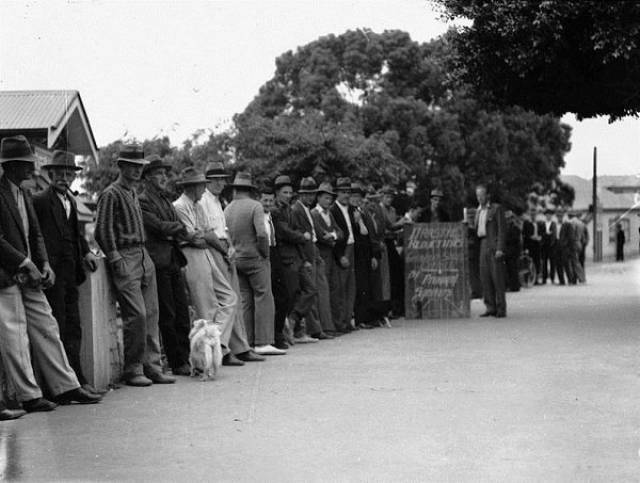 During the depression, thousands of schools were either shut down completely or were operating on reduced hours. Approximately 3,000,000 children wound up leaving school entirely. The “Three Little Pigs” was released by Walt Disney in 1933 and is often seen as a direct symbolic representation of the depression. 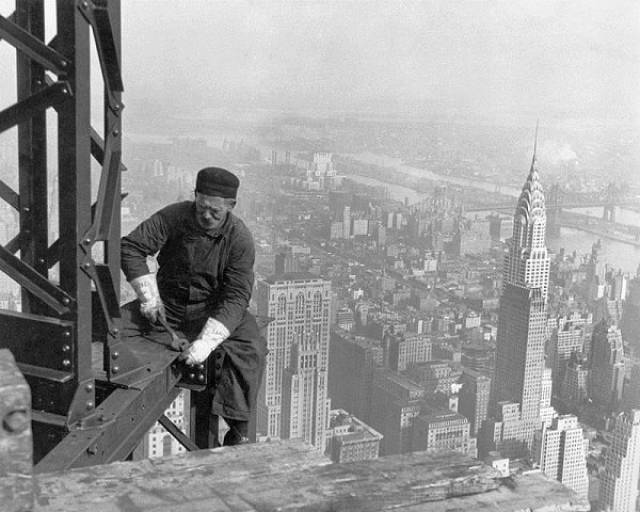 Works of wonder like The Golden Gate Bridge and The Empire State Building were completed during The Great Depression, which provided jobs to the unemployed at the time. Jumping trains became a popular practice during The Great Depression because people couldn’t afford to travel. It is estimated that approximately 50,000 people were killed or injured because of this. 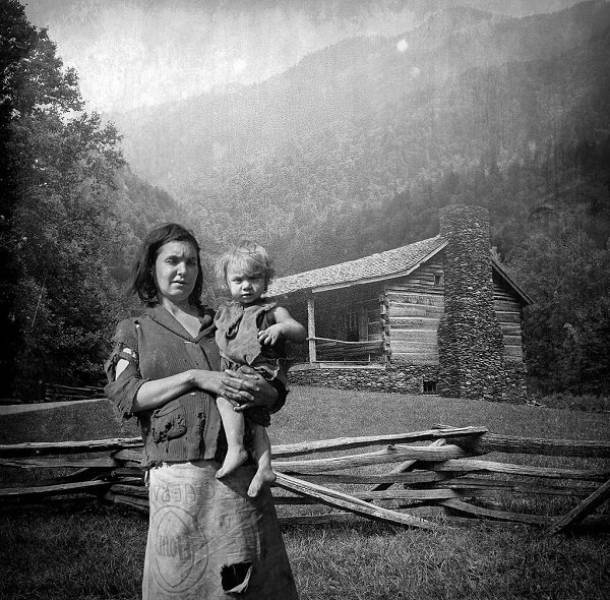 From 1930 to 1935, approximately 750,000 farms were lost via bankruptcy and Sheriff sales.